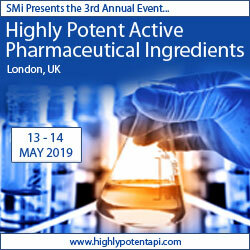 Ester Lovsin Barle from Lonza AG will be speaking at SMi’s 3rd Annual Highly Potent Active Pharmaceutical Ingredients (HPAPI) Conference which will take place in London on 13th-14th May. She will be discussing the latest developments in the industry with a specific focus on occupational exposure limits. Ahead of the conference, SMi interviewed her where she gave a taster of what she will be discussing. Joining Ester on Day One of the conference will be Mr Justin Mason-Home, Director, HPAPI Project Services Limited; Fabio Zenobi, EHS Director, BSP Pharmaceuticals; Martin Axon, Principal Occupational Hygienist, Safebridge and Olindo Lazzaro, Director, Global EHS Technical Operations, AbbVie.